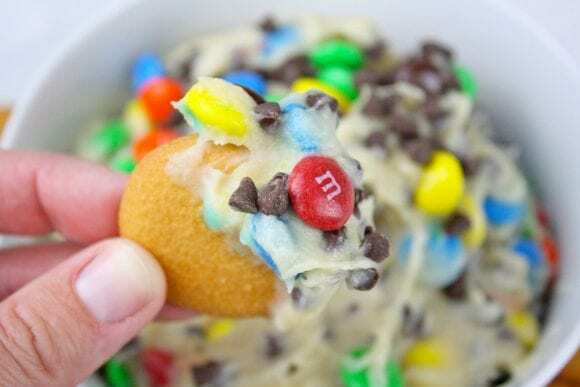 Talk about crazy delicious! 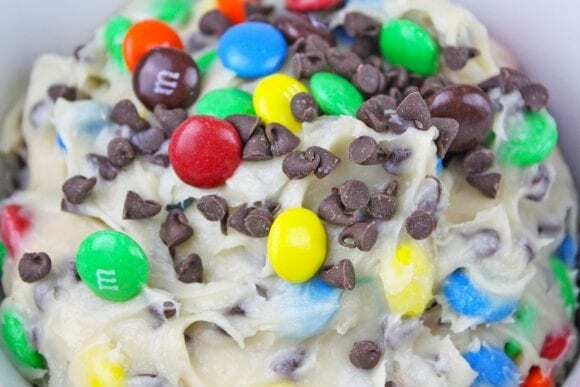 Check out this recipe for monster cookie dough dip. 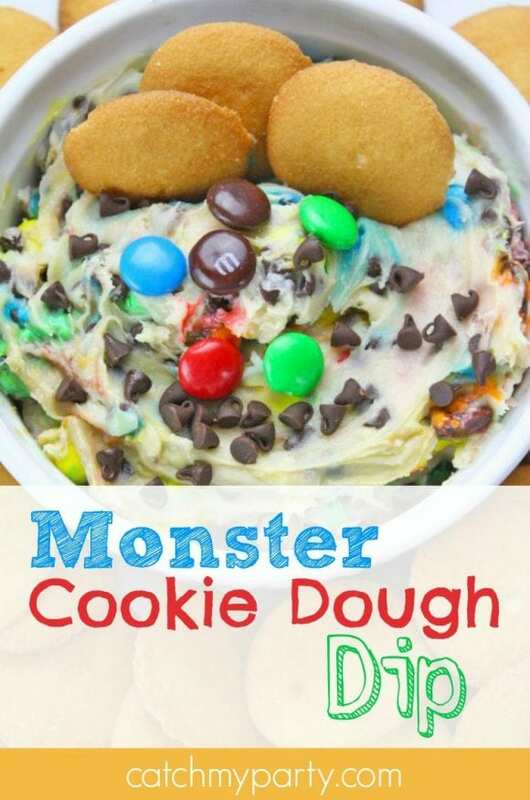 It's simple to make and a huge crowd pleaser. 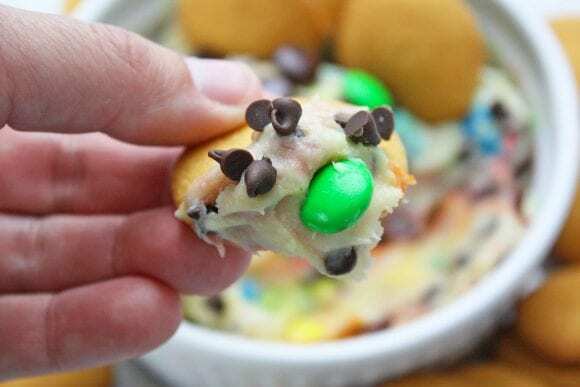 It tastes just like cookie dough with a touch of sour from the cream cheese. 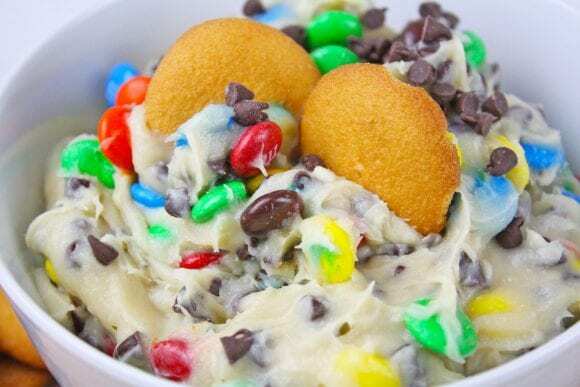 Serve it with vanilla cookies or fruit or even just put out spoons and let your guests dig in! 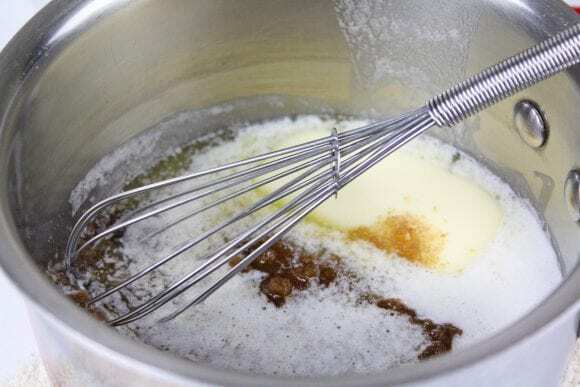 Melt butter in small saucepan with brown sugar. Heat until the sugar dissolves. Remove from heat and cool. In a medium bowl, combine cream cheese and powdered sugar. Cream together until combined. Add the butter mixture and vanilla to the cream cheese mixture. Mix until all ingredients are combined. Chill dough for 30 minutes. 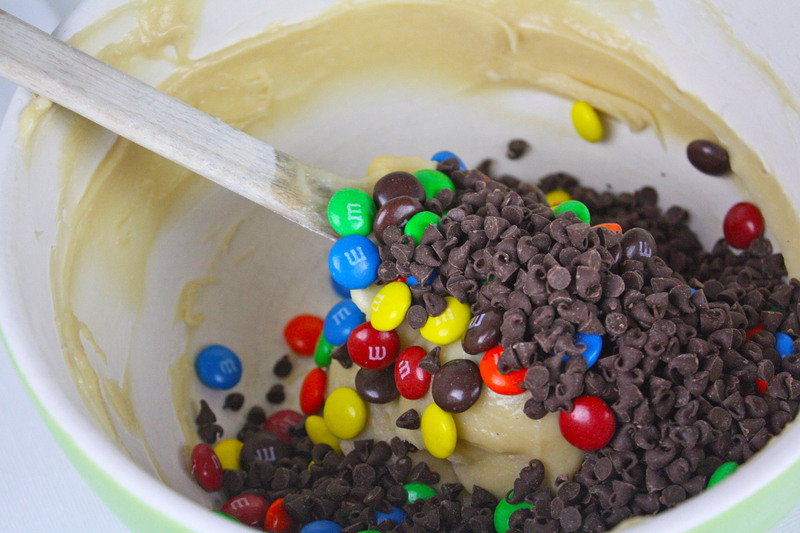 Remove cookie dough from the fridge and fold in one cup M&Ms and ½ cup mini chocolate chips. 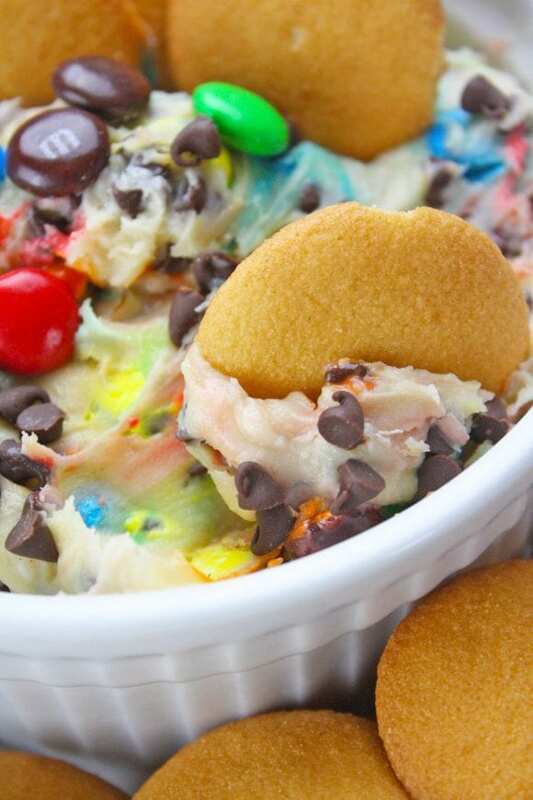 Serve cookie dough dip with vanilla wafers, graham crackers, pretzels or apple slices! 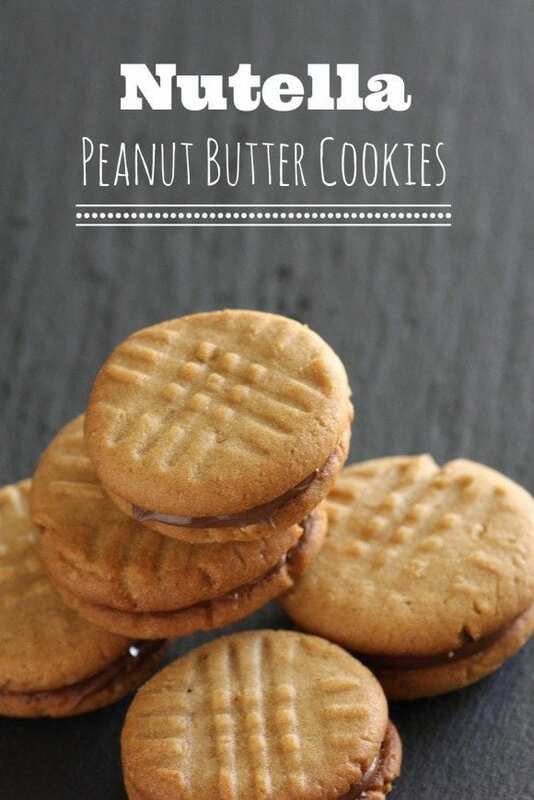 For more inspiration, check out these dessert recipes.